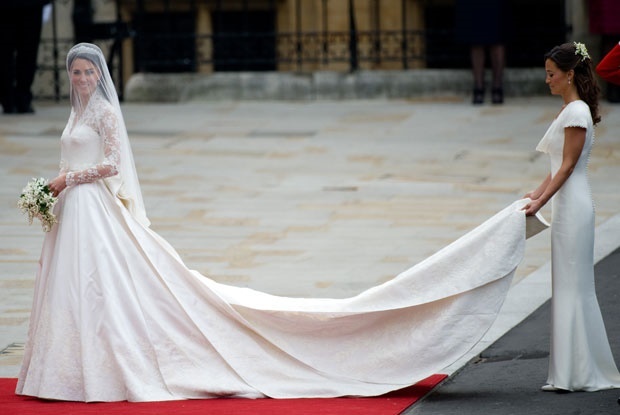 London — Where does one shop for a wedding gown set to be the dress of the year - an outfit chic enough for a fashion-loving bride but suitable for a church so regal it's the burial place of monarchs? Everyone at London Fashion Week - and elsewhere - is dying to know. With only three months to go before Prince Harry and Meghan Markle's 19 May wedding at Windsor Castle, both the fashion and bridal worlds are abuzz with talk of who the bride will pick to design her dress and what kind of look she would go for. It's no wonder: There's not been a bigger royal wedding since Harry's brother Prince William married Kate Middleton in 2011 in an extravaganza broadcast around the world. Seven years later, Kate's lacey, long-sleeved Alexander McQueen gown is still influencing bridal designs today. "It's going to be the greatest fashion commission of 2018. There'll be millions of eyeballs on it," said Jade Beer, editor at the British edition of Brides magazine. "It's her major fashion moment." "She'll definitely need an upgrade from the dress she wore for her first wedding," Beer added, referring to the simple strapless white gown the American actress wore at her 2011 Jamaica beach wedding to film producer Trevor Engelson. The couple divorced in 2013. While the design - as well as the designer - of the dress is a closely guarded secret, many are positive that Markle will choose a British designer. Kate wasn't the only bride in Britain's extended royal family sticking with a British designer. Zara Phillips, Queen Elizabeth II's second-eldest grandchild, wore royal couturier Stewart Parvin. 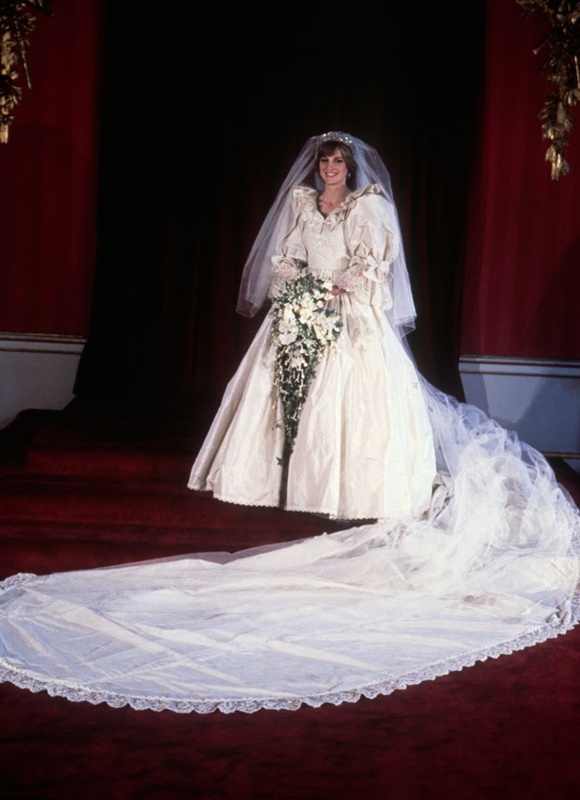 In 1981, then-Lady Diana Spencer - the late mother of groom Harry - surprised many when she chose David and Elizabeth Emanuel, a pair of designers fresh out of college. Front-runners for Markle's choice include British-Canadian Erdem Moralioglu, known for his elegant, feminine styles; Ralph & Russo, the couture designers Markle chose for her engagement dress; heritage fashion powerhouse Burberry; as well as McQueen and Giles Deacon, who designed the wedding gown for Kate's sister Pippa Middleton. Victoria Beckham has denied rumors that she's been asked. French designer Roland Mouret has also been cited as a possible pick. "I mean, she could surprise us all and choose a Canadian brand - she was so loyal to them while she was filming up there," said Miles Socha, editor-in-chief at Women's Wear Daily, referring to the time Markle spent in Toronto filming the TV series Suits. "But probably we would have to place our bets on a British designer." Some are hoping Markle will pick something less traditional because she has more leeway. After all, Harry is only fifth in line to the throne — and will be sixth after Kate, the Duchess of Cambridge, gives birth to her third child in April. In addition, their wedding venue, St. George's Chapel at Windsor Castle, is less imposing than St. Paul's Cathedral or Westminster Abbey in London. "I really expect something different from her. Her style is so clean, really modern, and bridal has been so traditional in the past few years," said London-based bridal designer Naomi Neoh. "I think - I hope - it would be clean, simple with beautiful detailing." "Meghan's very different from the English tradition. She's got her career, she's half-black," she said. "She's not going to be queen. It has to be respectful and appropriate of course, but it can be a bit more exciting with the cut and the lines. I think maybe a high neck, low back — that'd be demure enough." Still, it's a dress that needs to live up to the grandeur of its surroundings. St. George's Chapel is intimate only by royal proportions. It seats 800 guests and has a very important place in British history as the resting place of scores of kings and queens - including both of the queen's parents. "She's going to be walking over dead monarchs on the way up the aisle," said Beer. "There's a huge sense of occasion." 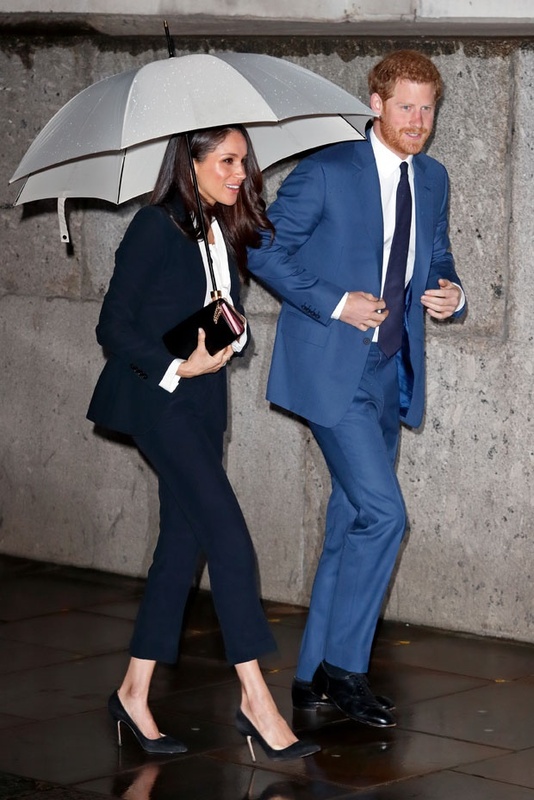 Markle has already signaled a break from the conservative styles that dominate British royal wardrobes, ditching stuffy frock coats for sleek trousers. Many admired the sharp trouser suit she wore at a recent official event. In March 2016, before she met Harry, she told Glamour magazine that she favoured "classic and simple" styles with "a modern twist," and that she preferred "wedding dresses that are whimsical or subtly romantic." She named Ellie Saab and J. Mendel among her favourite designers, and said her favorite celebrity wedding dress was the simple slip of a gown that Carolyn Besette Kennedy wore in 1996. Circumstances have changed since then - but whatever style she picks, Markle's choice will soon be seen in bridal salons everywhere. Referring to Kate's gown, Neoh said: "Literally the next day, everyone wanted long lace sleeves - the year after getting lace was impossible. It was bananas." Many say with Markle's looks and the young royals' popularity, she could get away with nearly anything. "I think everybody here loves her so dearly," said designer Jasper Conran. "She can wear a dishcloth and people won't mind."